When starting to learn search engine optimization basics, you should first know that the algorithm of search engines like Google continuously change. In order to cope up, you have to try different strategies and seo campaigns to know which still works and not. But as for beginners you need to pay attention on how to make strong keywords with low level of competition, seo submissions, website traffic and understand Google Analytics. There are several free tools that you can use in searching for keywords like the Google Adwords keyword planner too. You can type in couple of words and then Google will give suggestion. You can also view if the competition level for that particular keyword is high, medium or low. In SEO you need to use low competition keyword because it can give you better chance on showing in the top page of the search engine. There are several websites in the World Wide Web and most of them embraced the use and benefits of seo so you need to have an edge against them. It is highly recommended by the experts to use long tail keywords so that the competition will become low and it would likely to show on the first page. But let me remind search engines algorithm change so your tactic today may not work on the next month or next year. There are various tactics that can remain effective nowadays and these is creating back links. These are links from other websites going to yours and you can achieve this by submitting entries to classified ads, directory listing, forum, blog comments and educational websites. Also, you can create your own blog for free just like in tumblr.com and wordpress.com and submit articles regularly. Once the visitor of that page clicks the click on your article he or she will be automatically directed to your website and that counts as one website traffic. When someone visit your website directly it is called organic and when its through the backlinks you’ve made then it is called referral. The more organic traffics your website created the more possibility of being in top page of search engine results. You can turn those visitors into possible customer someday. But for the meantime, you should make a good reputation for your website. This is a tool free at Google where you can check the progress of your seo. As a result, you can determine if the strategy you are doing helps you or not so you’ll know the next thing to do. You can revised or improved some parts of your seo campaign after seeing the results made through your seo. Google Analytics, show how many person visited you website daily, what are their country, the device they are using, is it organic click or referral? This is just a glimpse on how search engine optimization works. 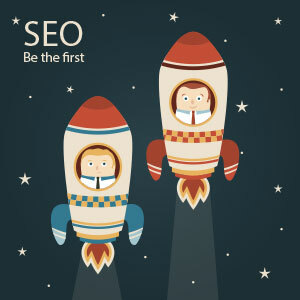 You can pursue you seo professional after successfully learning the basics. Probably, you will understand why most business now prefer to have a good optimized website.